Cultural Front: Haley Reading Group: Michelle Nijhuis’s article “The Parks of Tomorrow"
Haley Reading Group: Michelle Nijhuis’s article “The Parks of Tomorrow"
Michelle Nijhuis’s article “The Parks of Tomorrow” discusses the way scientists have attempted to maintain the Assateague Island National Seashore. Nijhuis lists the multiple laws and tactics used to preserve the seashore as unimpaired. Nijhuis states that although there were laws placed to ensure the seashore was further unimpaired, they did not address “the reality of human-caused climate change” because doing so was political and therefore off-limits for Park Services (134). This assessment of the Park Services leads to the articles point of the seashore maintaining a beautiful appearance but an unhealthy environment. What's was one of the human-caused climate changes affecting the seashore that stood out to you most? Briefly explain why. It's undeniable that climate change is becoming (and truly has been) a critical issue in today's world. We are using resources at an astronomical rate that our planet cannot naturally replenish. One of the human-caused results of climate change that caught my attention while reading this article was the following: "He [Stephenson] had always assumed that the sequoia and foxtail pine stands surrounding him would last far longer than he would, but when he considered the possible effects of rising temperatures and extended drought, he wasn't so sure" (p. 135). This was interesting and ultimately pretty unsettling with me because we are taught from a young age trees are pretty much ancient beings and live just about forever. What is going to happen if the lifespan of a human starts to surpass the life expectancy of a tree? Climate change is something that has been occurring for years and has been talked about more and more as the climate actually changes. Colder parts of the world are getting warmer and more animals are dying or becoming extinct due to the changes. In the article the author talks about the changes that occur to a specific area, "Scientists expect that as the climate changes, the storm will likely strengthen, sea levels will keep rising, and Assateague's slow westward migration may accelerate" (132). This interested me because I didn't realize that the effects of climate change were strong enough to cause an island to move. Climate change is strongly effecting wildlife and even our lives. Climate change is something we often don't talk about compared to other topics in our society, but it's probably one of the most important aspects of our world that is literally changing before our eyes. I think I was really impacted and surprised by the realization that animals that I always thought to be so plentiful are actually dying out in certain areas. For example, "Two other once-common mammals, a chipmunk and a wood rat, where almost extinct in the park (pg 134). Even in Yosmite, a very diverse natural park is having trouble with extinction. Climate change affects not only humans, but even more detrimental, animals. It's always sad to see pictures of polar bears struggling to survive in the arctic because ice caps are melting because of climate change. There were many human-caused climate changes that stood out to me but the once that stood out the most was the trees dying. "When he considered the possible effects of rising temperatures and extended drought, he wasn't so sure he could see the "vignette of primitive America" dissolving into an inaccessible past" (pg 135). The thing that stood out the most to me is that as humans we are letting trees die and live in terrible conditions even though we need trees to survive. It seems like we are taking trees for granted and not really caring about them which will destroy our future. What stood out tome the most is that the animals are acknowledging and adapting to the climate change probably quicker and better than us as humans are. On page 134 it states that many small mammals had shifted uphill, showing a clear pattern that "animals were migrating to escape the heat". This also stood out tome because it makes me realize how serious of an issue this is becoming. When animals have to adjust to something, its in order to survive, showing that our actions are causing harmful damage to animals and ultimately us. One thing that stood out to me was on page 134 when they were comparing data from 1980 to 2003. They talk about how animals in Yosemite park have shift uphill since 1980 and how two species (chipmunks and wood rats) are almost extinct in the park. The book says, "...climate change had arrived in Yosemite too, and animals were migrating to escape the heat." I think this is extremely sad because animals are having to leave their natural habitat in order to survive. If this trend continues, I believe many of the animals on earth will begin to suffer. The climate change that stood out to me the most was one that involved the dismantling/recreation of new parking lot surfaces aka "Eastern shore engineering." As Ennis stated in this passage "We weren't thinking about climate change/It was 'all by accident'". This change introduced the seashore to the world of National Parks and also allowed the National Park Service to be put into effect in 1916, which kept the seashore unimpaired for generations to follow. One of the points that stood out in the text the most is when it describes the damage cause by visitor accommodation structures. The text says "The visitors' center was damaged three times.Repair was expensive, and after fistsize chunks of asphalt from old parking lots began to litter the beach, it began to seem worse than futile"(132). A Parking lot was constructed in efforts for people to get out to see the Park's ecological scenes, however it started to litter the park with its debris because the parking lot was built at the center of the ecosystem's meta morphing site. The part that stood out to me the most was on page 134 where it states “the pattern was clear: Climate change had arrived at Yosemite too, and animals were migrating to escape the heat.” I think it’s horrible that humans have caused so many problems for our environment that animals have to relocate in order to survive. It shows how dangerous our careless can get, and lead to animal extinction. Climate change has taken up a number of forms over the years, many of which we cannot/choose not to identify as being a result of human nature. On page 135-136, the author states that 16% of sequoia trees located in low-elevation sites died in the span of one year, equating to about ten times the normal rate. He notes “It’s about what our see after a low-grade wildfire” (136). The use of this metaphor was especially shocking to me. It truly shows how astronomical the impact of human-oriented climate change can be. The human-caused climate changes affecting the seashore that stood out to you most was the different objects on the beach. From National Geographic it stated, "It's littered with tree stumps, gnarled branches, and chunks of peat the size of seat cushions - the remains of a marsh that once formed the western shore of the island" (131). Climate change is not something that is new to our ears. However, to some people its something that lies in the "ignore" folder of their minds in hope that it will go away or someone will fix it. While reading this I was not surprised too much at the results of the climate change. Though one thing that stood out to me most was "...climate change had arrived in Yosemite too, and animals were migrating to escape the heat" (134). The reason this stuck out to me the most is because I have actually had to study the effects of climate c change in another class and this was the first part of a dying ecosystem. Then in turn, another ecosystem is affected by having more animals come in and eat their food and take their shelter. As the saying goes, "a butterfly flapping its wings in California can cause a hurricane in China." Something that stood out to me was that the budget for this issue is still the same as it was 10 years ago. This made me upset because it is obviously an important issue and not only does it not get the attention that it deserves, it doesn't get the funds either. Climate change is an issue that has been ongoing for many years.In the article, it says " "When he considered the possible effects of rising temperatures and extended drought, he wasn't so sure he could see the "vignette of primitive America" (pg 135).This statement I found interesting because the threat of our world not being there one day is a very hard concept to grasp. However, in todays time, the rate at which we consume resources is more than the earth can produce. One thing that stood out to me the most was the fact that storms continue to worsen each year. In the chapter, the author states, "Scientists expect that as the climate changes, the storms will strengthen, sea levels will keep rising, and Assateague's slow westward migration may accelerate" (132). This was really interesting because the storms were getting so bad that they were destroying parking lots. Ennis had to try different materials for the parking lot just to see which one was the most durable. It's kind of scary thinking about how bad the storms will be in the future. Reading the chapter we saw how the climate change is negatively affecting the environment. We also read about the devastation from the climate change but on page 137 the author writes about how different parts are learning to apadat with the climate change. They are looking at what the can do within their parks to Lee the parks intact and flourishing. This post was made by Mackenzie cohoon. What affected me the most in this reading was on page 134, when it talked about how many drastic changes were coming and that, according to surveys, the value of these changes could not be predicted. I found this interesting because it reminds me of the things i hear about how climate change is one cause of natural disasters. Reading this passage makes the reader take into account how much we affect the climate. When Michelle wrote on page 135, “He has always assumed that the sequoia an foxtail pine stands surrounding him would last far longer than he would, but when he considered the possible effects of rising temperatures and extended drought, he wasn’t so sure...”, it made me think about the effects the climate change has on Earth. Plants are dying because of it and animals and humans need plants to live. We need trees to breathe and if hey are dying that means we will too. I started to get really interested in this article when it brought up climate change cause I felt that it was the most applicable subject to what's going on in the country right now. On page 132, Michelle writes, "Scientists expect that as the climate changes, the storm will likely strengthen, sea levels will keep rising, and Assateague's slow westward migration may accelerate." When I read this part I immediately thought of the storms that have been ravaging the Carolinas. It's crazy to think that people try to deny or disprove things like climate change when we have proof of it effects happening right in our own country. I particularly made comparisons between the way in which we currently label food as "organic" and the law on page 132, that said "...to leave park scenery and wildlife 'unimpaired for the enjoyment..." However, the author noted that the law did not define 'unimpaired.' Therefore, there was constant battle over the land because developers wanted to create new pieces for Assateague. This is an important point because it is not about the climate change and the science, but about law reform. People abuse the wording of laws and will try to use the unexplained and ambiguous definitions for their own benefit, just like in slapping the word organic on food that may not be "organic." Even though climate change has been an issue for a while now, it is not an issue that I heard much about as a kid. The idea of recycling is fairly new to me. The article stated, "When he considered the possible effects of rising temperatures and extended drought, he wasn't so sure he could see the "vignette of primitive America" (pg 135). I found this statement to be a game changer. As I stated, climate change is a fairly new subject in my lifetime, but the thought of knowing our behaviors could ultimately destroy mother Earth is scary. This alone makes me reconsider my actions and makes me want to do some things differently. While there were many reports of how climate change was beginning to effect the world around us, one of those being the apparent migration of animals from Yosemite National Park, there was one statement that made me feel a bit uneasy. To enumerate, the author lamented a shortening lifespan of trees. The passage reads, "In their lowest-elevation study sites, below the sequoia zone, 16 percent of the trees have died this year, approximately tenfold the usual rate" (Nijhuis 135-6). This is unsettling because growing up, we are taught that trees outive generations. For some that are supposed to last years to die within a single year is a testament to where we are headed in the near future. While other trees live longer, put on a scale equivalent to the sequoia site trees, the future of our trees is compromised. In this way, we are compromising ourselves. It is no secret that climate change has been a growing issue in our world. Especially in the coastal towns, they are dealing with more and more issues than ever. As our knowledge on climate change grows, we have begun to realize that somethings are due to human interaction with the environment. One line from the reading stated, “The notion of resettlement America as a primitive ignored the long impact Native Americans had had on park landscapes, through hunting and setting fires of their own. This line basically says that climate change has been around since the beginning. Anytime you put a human or an animal or a plant or etc. in an environment, the environment will also change to accommodate in a sense. Climate change is a topic that is discussed thoroughly in many of my science classes, no matter which specific subject.The statement in the reading, "climate change had arrived in Yosemite too, and animals were migrating to escape the heat" (134), stood out to me the most. The fact that the animals are moving should be a significant sign to all that something is wrong. Animals are born with the "fight or flight" response, so when there is movement, there is a great reason to do so. In this case, the reason is elevated temperatures. This article brings up a very important issue that's been in the news for quite some time: global warming. It is sad that many animals and various species of plants are dying due to the pollution that humans contribute to. This problem needs to be more addressed so catastrophes like this would stop occurring. More efforts need to be enforced to put a halt to this life-changing issue. Climate change has been a major topic discussed for years. It's a real thing and is having such an impact on the environment and climate of the world. One thing in this article that stuck out to me the most about climate change was when this part was mentioned, "Scientists expect that as the climate changes, the storms will strengthen, sea levels will keep rising, and Assateague's slow westward migration may accelerate" (p. 132). The changing of the climate is causing natural disasters to become stronger and other natural phenomenons to occur. When it comes to the arctic regions, the temperatures are getting warmer causing the ice caps to melt and ocean levels to rise. Climate change is something that we have to put more emphasis on before events occur that have catastrophic results. A part that stood out to me was the situation of the forest after wildfires. As Stephenson explains on page 136, "...-the whole forest is affected". I din't realize that when something happens to a part of the forest, other parts become affected as well. On page 133, the author states " Park managers began setting controlled fires in forests where natural wildfires had long been suppressed." I found this interesting because this is a method I would never have thought of in attempt to restore the natural state of the area. From my perception of wildfires that Ive learned from TV commercials, I would think the absence of wildfires would be beneficial for a habitat. But I didn't realized that it throws off the natural balance of the species in the area. One of the human-caused climate changes affecting the seashore that stood out to me was how our actions are negatively affecting not just us, but our animals as well. I think humans can be selfish and times and don’t fully consider that we are not the only beings that live on this planet. On page 134, Nijhuis mentioned how some smaller animals were displaced and some were near extinction in the area. The pattern in their behavior indicated that they were trying to get away from the heat. I think humans should start paying more attention to animal behavioral patterns because they give us hints about what is happening to our earth even when we don’t take it seriously ourselves. One of the mentioned effects of global warming is rising sea levels. Page 132 states "Scientists expect that as the climate changes, the storms will strengthen, sea levels will keep rising..." this is a major fear that will affect countless people if it comes true and would be irreversible. It's horrifying to think that there's a possibility that the world could be changed forever and we would never get it back. In this article, the author discusses the effects of climate change. 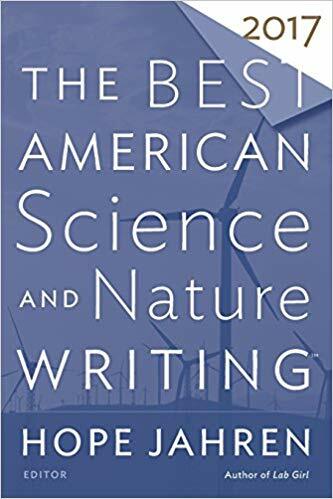 While discussing this the author writes, "climate change had arrived at Yosemite too, and animals were migrating to escape the heat” (Nijhuis, p.134). This is terrifying because climate change has caused catastrophic damage to our ecosystem, so much so that animals are migrating to unfamiliar land, or dying off entirely. It is appalling to know that even though we have only been on the planet for a few minutes in comparison to every other species, however, we have managed to all but destroy everything within it. Shortly after the turn of the century, researchers in Glacier announced that by . 2030 even the parks largest glaciers would likely disappear"134. This stood out to me the most because those glaciers have been around for years and the fact that people would affect them and blame it on rising temperatures is astounding. Lyric B.